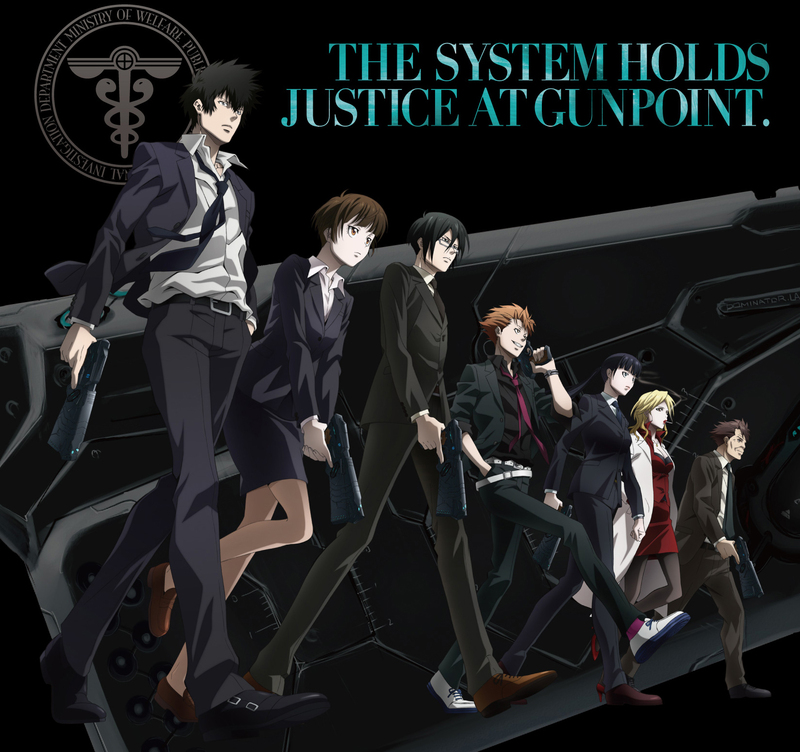 The system that holds justice at gunpoint. . HD Wallpaper and background images in the Psycho-Pass club tagged: psycho pass. 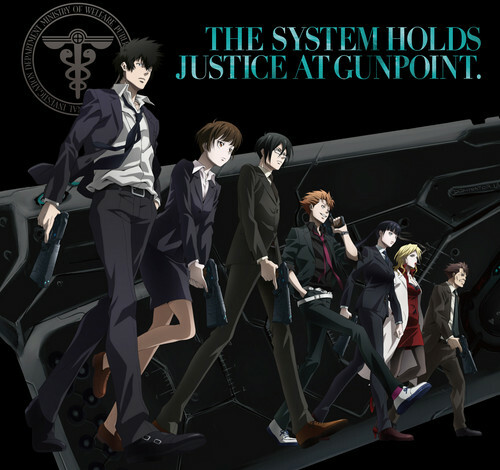 This Psycho-Pass photo contains スーツ and ビジネス スーツ. There might also be 身なりの人, スーツ, パンツスーツ, よく服を着た人, and パンツ スーツ.